My mind is divided about Google, or is that Alphabet now? On one hand, I see the company as among the most innovative ever. I highly value many of Google’s products and they enable me to work more efficiently and to accomplish much more in far less time. On another hand, the search and services operation’s business model is hugely disruptive to people like me that generate content that is primarily consumed online. My profession is in shambles, with the “Google free economy” as the primary wrecking ball. Overnight, I started an investigative report that will, in the early stages, primarily focus on how the information giant’s business disrupts the news media and some other content producers. “What Does the ‘Google Free Economy’ Cost You?” is crowdfunding through Byline. Should I achieve my modest milestone goal—$250 over 40 days—another milestone would follow with larger goal, and the reporting will expand into additional areas of concern, such as privacy or even how Google could influence the outcome of the U.S. 2016 Presidential election. Investigative journalism requires time to report and write. The news site I work for now, and will continue to contribute, pays by pageviews. I oppose the pageview model, which the Google free economy rewards. When you run the pageview treadmill, which I refuse to do, by posting one story after another as so many bloggers do to meet daily quotas, what time is there for in-depth reporting? Crowdfunded journalism is the antithesis of the pageview model and by pushing against it, Byline is appropriate place for an exposition about the give-it-away-for-free model that Google pushes by way of its search monopoly. My initial focus on the news media is two-fold: It’s what I am familiar, and the topic should appeal to Byline’s readership, which by personally funding journalism presumably desires something other than the clickbait and aggregation plague that infests the Fourth and Fifth Estates. Pay like bartenders and waiters/waitresses. All writers receive the same base salary. How much more they earn depends on tips. Companies can provide online tip boxes to which readers contribute (per story or ongoing basis). Meanwhile, reporters are tipped by employers for their legitimate, originally sourced scoops. In a way, crowdfunding news is the tip jar without the salary. Accountability is the highest form—to the audience. If you have read this site with any frequency, you should know: I assert that journalists should put audience before all else, particularly during what authors Robert Scoble and Shel Israel call the “Age of Context“. Additionally, crowdfunding encourages participatory journalism, described in my ebook Responsible Reporting: Field Guide for Bloggers, Journalists, and Other Online News Gatherers, as conversational and process. I see promise in process journalism generating leads that will advance the reporting, by engaging funders and other supporters. The tone of my initial pitch, and even presented here, puts Google in disfavor. But as this post stated at the start, I am somewhat divided about Google—and where the series ends depends on where the reporting leads not what follows my preconceptions. In June 2009 post “Iran and the Internet Democracy“, I explained how social media tools like Facebook, Twitter, and YouTube—each about three years publicly available then—foreshadowed dramatic changes for the dissemination and consumption of news. Six years later, the disruptive effects of tools that democratize news, propelled by the Google free economy, are everywhere. I predicted in 2009 that the Internet democracy would destabilize news monopolies of power, empowering the masses to decide what is news rather than editors. That result maybe best for everyone in the long run. 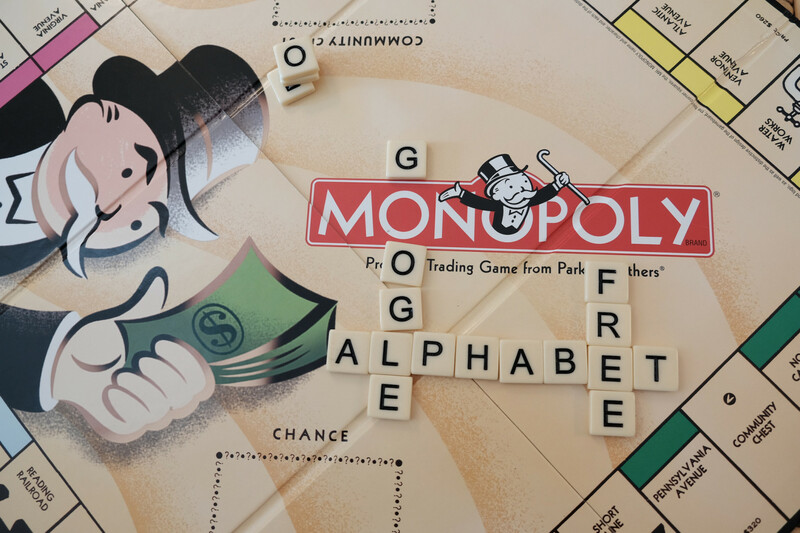 But Google has emerged as another monopoly of power that influences much of the information everyone searches for or consumers. I expect my series to be, using the overused onion analogy, the peeling back of layers. That’s the lay of the land so speak. If you would like to help fund this project, please go to my Byline project page. If you would like to contribute any other way, please contact me by a means that does not directly touch Google. No Gmail, Google+, or Hangout. You could DM on Twitter (@joewilcox), Skype me (cuspers), or email my clever and surprising address (I control the domain, which isn’t registered with or hosted by Google). I will be seeking sources—reliable, of course—former Google employers, or company insiders working there now. You can be anonymous to the public, but I will vet your identity.